Preheat oven to 325 degrees. Slice tomatoes in half and place on cookie sheets. 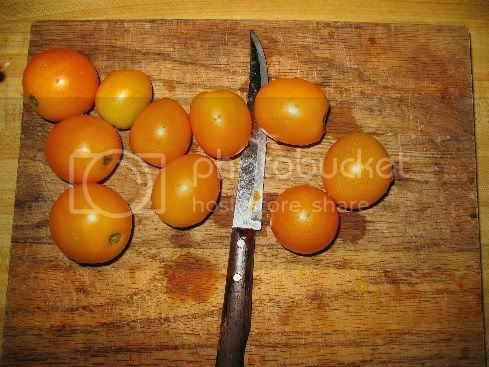 Scatter unpeeled garlic cloves among the tomatoes. Drizzle with 3 tablespoons olive oil and bake for about 1 hour, 20 minutes, until tomatoes are getting slightly dry and brown. Heat remaining 2 tablespoons olive oil in a large saucepan. Saute onions in oil until soft, about 15 minutes. Add cinnamon sticks, celery seeds, allspice and ginger; saute 1-2 minutes. Sorry I don't have the measurements because I taste as I go.... these taste better if you let flavors combine overnight in the refrig. Avocado and Grape Tomato "Guacamole"
Gently combine all ingredients in a medium bowl until just mixed. Season with salt to taste. Serve like salsa with baked tortilla chips or atop fish or poultry. Cut tomatoes and red onion in half vertically. Cut each half horizontally into thin slices; set aside. Combine ingredients cilantro through sesame oil in large bowl; stir well. Add tomatoes, red onions, green onions, and bell pepper. Toss and let stand 1 hour. Yield approx. 8 one cup servings. Whip oil and vinegar together in a medium bowl. Season with salt and pepper. Stir in corn, tomatoes, onion and basil. Cover and chill. Spoon teaspoons of corn relish atop cooked hot dogs in a heated bun. Yields 3 cups. In a small skillet over medium high heat, melt butter, then add canola oil, onion, celery, black pepper, and garlic. Reduce heat and saute vegetables for about 8 minutes, or until the onions are translucent and celery is soft. 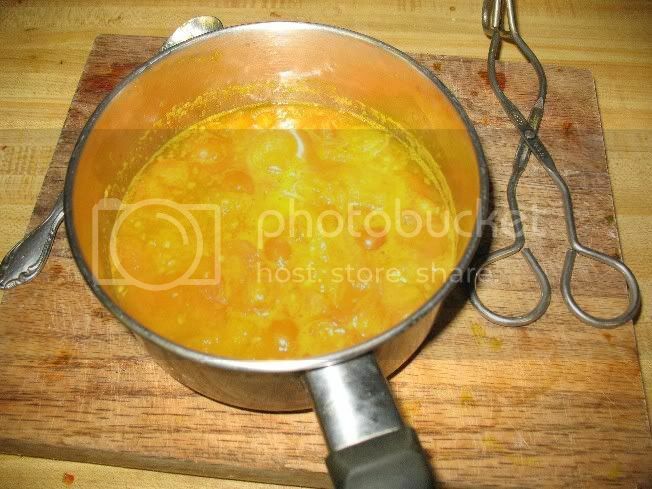 Transfer vegetable mixture to a non-aluminum saucepan. Add remaining ingredients and slowly simmer for about 30 minutes, stirring frequently so the sauce doesn't burn. Allow sauce to sit for at least one hour to allow flavors to meld. If time allows, make sauce the day before and store covered in the refrigerator. 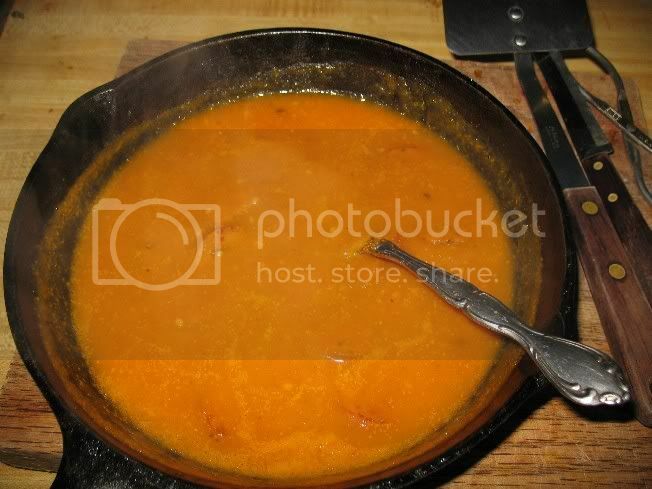 Heat oil in a sauce pot over medium heat; add onion and garlic and saute until onion is soft. Add tomatoes and salt and pepper; simmer for 10 min. Add cream, reserving 2 tbsp. Let sauce simmer for 20 minutes until slightly reduced. Add last 2 tbsp of cream at the last minute. Sprinkle with fresh basil. Serve over fusilli or linguine pasta. Brown garlic in olive oil in bottom of large saucepan. Add tomato paste and one can of water; stir. Add remaining cans of tomatoes and spices (amounts to your taste) and let simmer for 3 1/2 to 4 hours. In the meantime, fry or broil meatballs and sausage. When done, put meat in sauce and let cook for at least hour. The large amount this makes is great for freezing leftovers in 1qt containers. In a small skillet over medium high heat, melt butter, then add canola oil, onion, celery, black pepper, and garlic. Reduce heat and saute for about 8 minutes, or until onions are translucent and vegetables are soft. Transfer vegetable mixture to a non-aluminum saucepan. Add remaining ingredients and slowly simmer for about 30 minutes, stirring frequently so sauce doesn't burn. Allow sauce to sit for at least one hour to allow flavors to meld. If time allows, make sauce the day before and store covered in refrigerator. Serve this quick-and-easy sauce over grilled chicken or bean dishes. Heat oil in saucepan and add onion; cook for 3 minutes over medium heat. Stir in tomatoes and garlic and cook for 1 minute longer. Add remaining ingredients, bring to a boil, reduce heat and simmer until thickened (about 10-12 minutes). Serve immediately or cover and refrigerate. A Cla experiment. Sungella/Sungold spaghetti sauce! less than a quarter lbs suasage. 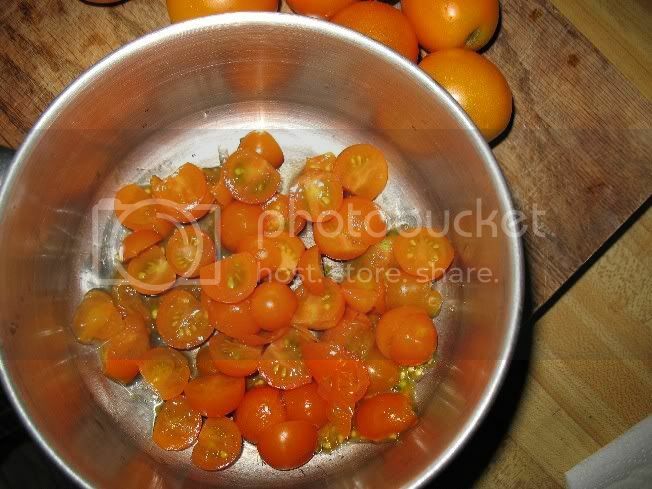 After cutting the ends of, and maybe cutting the larger tomatoes into 4's, you can cook them down a bit; 5 or 10 few minutes simmering boil, which causes the skins to fall off the tomatoes, then you can pretty much just pick them out of the pot. (took me a good 5-10 minutes per the sungolds). At this point I used a small skillet to saute some smoked sausage. after cooking it very well and the skillet was pretty hot, I poured the sauce from the pot over the sausage, into the skillet. added the garlic, sugar oregano, oh yeah also a dash of monosodium glutamate (accent). cooked it hot for a few minutes and it came out nice and thick, and very good. Best sgetti sauce I have ever had. First time I believe for having a sauce made of fresh picked tomatoes. The combination of seasonings/flavor is unreal. Must have a little spice, I'd add some blackpepper if not for red pepper (cajun seasoning). Very appealing plate. 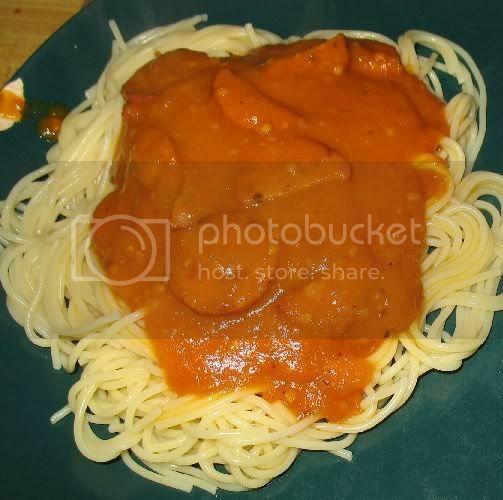 Look at how the sauce holds on to the pasta. First class. Thanks for the pics.